Superstar comedian Carlos Mencia has made a big, yet controversial, career out of speaking about whatever is on his mind, and that most often entails racial issues. Mercilessly mocking every race, including his own Latino heritage, the often-profane Mencia is truly one of America’s “love him or hate him” comics. Yet, as a standup comedian myself and major fan of Mencia’s who has had the opportunity to interview him in the past, I’ve long known there’s another side to the man as well. Offstage, Mencia is almost shockingly quiet and thoughtful as he scans the cable news networks for hours at a time in search of the latest outrageous news to riff on. He’s also a devoted husband and father who, in the following conversation, also discusses how his active Catholic faith affects his work as a comedian. With his often caustic (yet in my opinion, funny) Comedy Central sketch series Mind Of Mencia off the airwaves after four successful seasons, Mencia is now showing his kinder, gentler side in the new film Our Family Wedding [check out RELEVANT’s review here]. In it, he plays a towing-business owner who is surprised to discover that his daughter (played by America Ferrera of the ABC series Ugly Betty) is marrying a boyfriend he barely even knew about—and that the boyfriend is black and loosely Protestant rather than Latino and Catholic. 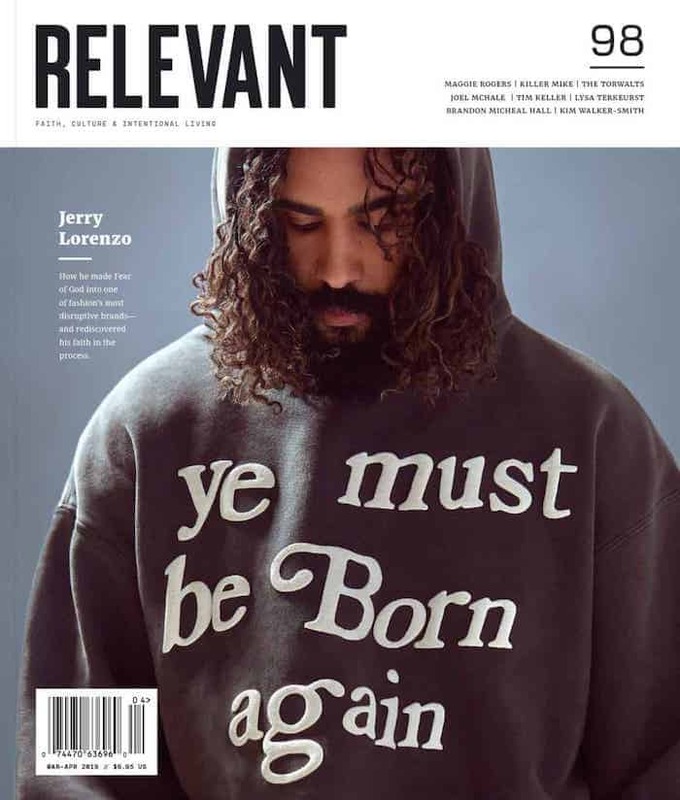 Mencia sat down with RELEVANT to discuss the movie and the state of his career in a recent exclusive conversation. There are several serious moments in your performance in the new movie. Have you ever done a dramatic role before? On [the FX network series] The Shield. You know what’s funny is, you accomplish certain things in one venue and it’s time to move on. It was time for me. My only reservation was “Wow, can I pull off being her dad?” Not from acting perspective but physically. Once I was able to get past that, it was just fun to do something different. I was exercising a different part of my body, like at a gym with a trainer who works a new part of your body. It’s invigorating. I’ve interviewed you a couple times before for other stories. You’re always surprisingly quiet and soulful compared to what people might think. I’m totally like that. It’s funny, Carl. When I’m onstage, I’m on, but a different part of me is on: the part of me that absorbs life, sees everything occurring and touches on everything around me. When it came time to do this movie, it was easy to transition into that stage because I do see the stage as a place for jokes but the world is a place for more intricate things. So much of your comedy is about race, but you get away with it because you nail everybody. So having this kind of role in a culture-clash comedy feels kind of perfect. But it’s in a nicer tone than we’re used to. Did you seek out this kind of theme in order to do a movie? Yep. I had ash on my forehead on [Ash]Wednesday. How does faith affect your decisions in your career—does it make you say "here’s something I won’t do , and where I draw a line"? My faith affects me especially in this way, in that if I, unlike a pastor or priest—and I have a lot of friends who are priests—they’re bound by a certain etiquette of how to comport themselves in public. The really funny thing is that most all of my friends who are priests have seen me perform and they say “I wish I could talk the way you do on stage. I wish I could reveal truth to my congregation the way you do." What I do is that I really really try hard to make sure the things that I do comes from a pure place in my heart and my intent is a pure one. You can take my dirtiest, craziest joke and I can break down in my head why there’s a good, honest, honorable reason for telling it. The one thing that someone challenged me to ask you is about the “dee dee dee” chant you say. There was a controversy recently where Sarah Palin complained about people using the word ‘”retarded”. Some people think you’re doing that too. No! It is literally just “duh” to the third power. People were saying ”you’re a racist,” “you hate people.” I don’t hate people, I hate when dumb people have kids. So if you’re “duh” and you’re wife’s “duh”, the kid’s gonna be “duh duh duh.” I would NEVER do a joke about the actual mentally retarded. But I would do a joke about saying “retarded,” or mentally retarded and the difference between the two because there is a hypocrisy that goes throughout our country and I believe that’s one of them. feature Mencia at his uncensored, unfiltered best.